2013 has been an amazing and eye opening year for me. I've learned a lot about myself, my abilities, and I'm very happy with how the year as a whole went. To end 2013 on a string note I have gathered the top ten most popular post of the year to share with you. Mother's day is a nice time of the year but even on Mother's Day the rude looks and glares don't stop so I decided to write a mother's day letter as who I am- a teen mom. #3 I can't give Leilani the family she wants. Finally realizing and being completely okay with the fact that I can't give Leilani the family she wants was both empowering and liberating. We've done a lot of traveling and every time we go on a trip-near or far- we always seem to learn a life lesson and fall in love with life and family even more. The words free time and parenting in the same sentence are kind of a joke but I was able to make getting more free time during the weekend a possibility by doing these few things. So many ads and people in general love to think and behave as if teenage parents should and are never happy. I remember being pregnant and people basically telling me I should be depressed and sad the whole time because " I was ruining my life." One nurse provided me with the first happy moment of my pregnancy I ever had. Being a single mom is amazing and difficult all at once. This year I learned and realized some tips that helped me not only survive as a single mom but THRIVE as well! Homemade hair mask and healthy hair are awesome. Farrah from MTV's Teen Mom decided to wax and pluck little Sophia's eyebrows this year because... well I'm not exactly sure why but this post was popular nonetheless. Growing and becoming more confident as a single mom includes learning how to deal with an absent parent. This year I learned and shared how I have come to deal with Leilani's 'father's' absence and be the best mom I can be in the process. 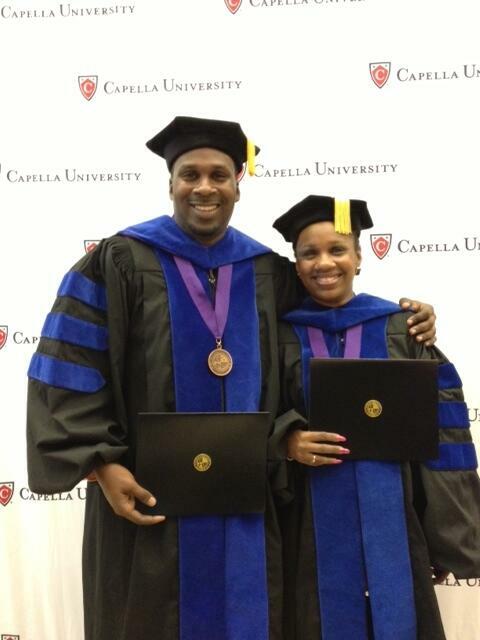 What is one of your favorite post of 2013? What would you like to read and see more of in 2014? Let me know in the comments! Are you interested in the connections between reproductive health, family planning, climate change, and sustainable development? The Sierra Club Global Population and Environment Program is now accepting applications for our Spring 2014 Fellowship, taking place in Washington, DC on February 8th and 9th, 2014! I did the Fellowship last year and LOVED IT and highly encourage any teen mamas that are interested to apply! I learned so much, met amazing people from all over the world, was able to develop myself as an advocate while gaining knowledge, and till this day have a great network and connection with The Sierra Club. The Spring Fellowship Training offers young people and adult volunteers the opportunity to gain information and skills to effectively link these intertwined issues as leaders and activists on campus and in communities around the US. After successful completion of the Fellowship, fellows will receive a stipend to implement their own campaigns to advance population, reproductive health, and environmental issues. Please find the application here! Applications are due by January 3, 2014 at 12:00am EST. Please feel free to pass on this invitation to anyone you believe would be interested. Any questions can be directed to population@sierraclub.org. As great as the holidays can be they also make for the busiest time of the year. Between shopping, school, your child's school and or daycare, untangling lights, wrapping the presents just the right way, keeping your child away from the candy canes on the tree-and the present hiding spot, and baking dozens of cookies for that Christmas party, your regular life doesn't press pause. This year however I have learned that some stores are making the holiday season a bit less stressful for us be offering FREE store pick up! That means you order your items online, select store pick up, and pick them up without having to have an epic Jingle All The Way fight scene for that last toy on the shelf with that super caffeinated soccer parent. Both Sears and Kmart offer free in store pickup, letting you shop thousands of gifts online in the comfort of your own home before picking up your items in store in 5 minutes guaranteed (or whenever you're ready). With in store pickup you'll avoid lines, busy stores and the wasted time of walking down every aisle. The bow on top: You can have a friend or relative pick up your order and pay in store with cash. YES a different person can pick up the order for you! So when you feel like you need to be in two places at once you can actually sort of do that! Presented by Mami Innovative Media, this is a sponsored post on behalf of Sears and Kmart. To show appreciation for your continued support, encouragement, and for being you I am dedicating the month of December to giveaways! I will be giving away at least one gift each week during the month of December. Be sure to enter, encourage your friends to enter, and enjoy your giveaways! First up is a book by former teen mom Alexandra Elle. Alexandra is a writer, creative, and over all inspiring, wise, and radiant woman. Her book is full of short poems and love letters to herself. Weaving self love with struggle, human flaws, beauty and encouragement all at once. End this year and bring in the next year with love and positive affirmations. You can find Alexandra on Twitter here. Deadline to enter is DECEMBER 8th. 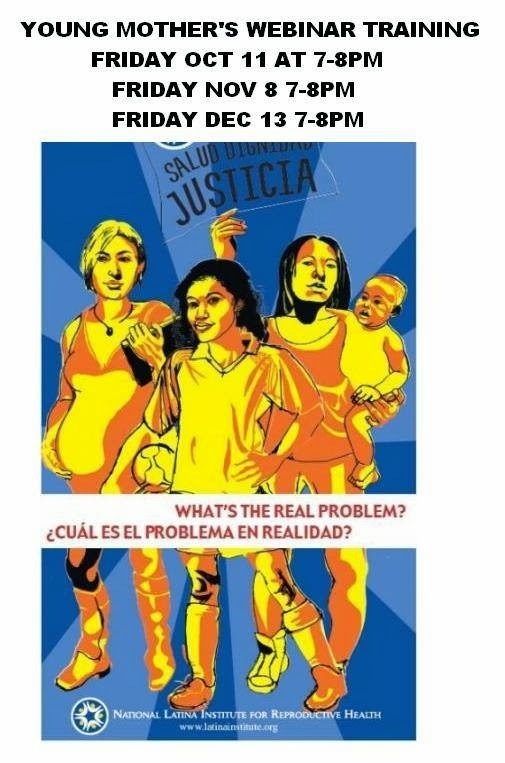 Last night I found a professor of Social Work who believes (teaches) denying services to pregnant and parenting teens and making ALL children and families in the United States sign a FEDERALLY MANDATED morality clause before being able to participate in school activities will reduce teen pregnancy rates. My latest on RH Reality Check couldn't be more timely. Mind you she's teaching illegal and unethical practices. Head over to RH Reality Check for my latest on shame from all over the political arena for pregnant and parenting teens. Here. Why are teen moms called teen moms? It's not like old moms are called "old moms" so why are we called teen moms, aren't we MOMS too? I couldn't help but to think she had a good point. Why are we the only moms that have to have another title proceed our titles as mom? Is it to continue the thoughts that teen moms are "less," "different," or more teens than "actual moms?" At the end of the day we are moms just like any other moms so we must we have the title teen mom when no other age demographic of mothers is identified as the age at which they had their child. Was this (teen) mom over reacting? Does she have a good point? Sometimes the zoo is fun and you get to see tons of great animals, then sometimes you're literally looking at the animal's back or just leafs and grass wondering where they are hiding. However, this family found a great way to interact with an adorable tiger cub at the zoo in an equal parts adorable and feel good video. Have you ever seen anything so adorable or had an animal interact with you like this at the zoo? Let me know below in the comments. It seems all mother, that are not teenage mothers, can talk about how being a parent is difficult without being attacked. However, when a teen mothers do it we are told to "stop complaining", "this is the life you chose", "no one told you to get pregnant", "life is hard", or let you know they don't care either through their actions or bluntly telling you "I don't care." As much as society tells us we can't be happy during our pregnancy they also tell us to stop "complaining" when things get difficult and we try to speak about it. Between being unable to speak about our challenges without "proving" being a teen mom is "horrible" or conveying happiness because we will be "glorifying" teenage pregnancy, teenage parents are in an emotional limbo. A limbo that I am no longer wanting to be a part of. Truth is being a parent is hard! Sometimes it's full of wonderful and positive days and some days it's full of stress and can be overwhelming. Sometimes I struggle to have enough money for a metro card for school, sometimes I want to be able to buy myself a drink at a bar with friends without feeling guilt, sometimes I feel like a bad mom because I can't spend as much time as I want with Leilani, sometimes I just want to lay in bed all day and not have to "come here" every time she calls, sometimes I feel like work, school, life, parenting, and trying to figure out our life after graduation is overwhelming and damn hard, sometimes I'm happy and proud of myself and the mother and woman I am. Being a mom, student, employee, child to your parents, and person all at once while society and sometimes even family and "friends" tell you you can't is A LOT to handle. I'm HUMAN and even though I am a teenage mother I should and CAN feel all sorts of emotions and experiences and not feel like I should be silenced by society or rude negative people while expressing them. Being silenced by society and shame is what leads to higher rates of postpartum depression in teenage mothers, what caused me to stay in an abusive relationship much longer than I should have, and what keeps teen parent from finding one another and completely sharing our experiences with one another. Lets STOP letting society and shame silence us! Not one of us is winning anything by being silenced, in fact it hurts us! If you are in an abusive relationship you don't NEED to stay because of shame (like I did), if you are struggling to put food on the table you don't need to feel ashamed (like I did), if you are a homeless teen mom you don't need to feel ashamed and remain silent. Truth is A LOT of people are experiencing these things. Story telling and sharing is powerful, helpful, and healthy. No matter what you are going through whether it is good or bad you can and should speak about it! Don't let society silence you. It was Halloween evening and I was taking Leilani and her friend trick or treating. On the way back we walked past our train station where we saw a homeless man sitting by the stairs. He had an absent and deflated presence about him. "Look mommy he is homeless. Should I give him some candy?" Leilani asked. Huh? "Uh... sure baby. Yeah that would be cool." She reached down into her pumpkin and pulled out a piece of candy, "here sir... sir... excuse me." The man looked up dumbfounded. He looked at Leilani, looked at me, and then a huge smile stretched across his face. "WOOOWW! Thank you! I... I don't know... God bless you and her. She... God bless her. Thank you." he said with his hands on his heart and a smile on his face. Why did you do that baby? I asked her. "Well everyone should have fun on Halloween even homeless people. It's not fair that only people with houses get to have fun." I couldn't believe it. I was and still kind of am at a loss about how amazing and giving her little gesture was. While everyone else around him was smiling at children running around in their costumes he was there possibly feeling as if he had camouflaged into the wall but Leilani reminded him that he wasn't. It's important to teach ourselves and our children that all people, especially those society says are "lost causes" are important. Homelessness is a serious problem within the teen mom community. Many pregnant and parenting teens are kicked out of their families homes EVERYDAY. Please take a moment to learn more about homelessness amongst our peers by reading Diamond's interview, Precious's interview, and the blogs Youth Homelessness section. When was the last time your child surprised you by showing you they have retained a life lesson you have been trying to teach them? This month I will be joining NaBloPoMo. NaBloPoMo stands for National Blog Posting Month and was inspired by NaNoWriMo, National Novel Writing Month. Both month long activities encourage people to write EVERYDAY and as a blogger you are to post everyday. Being that I am starting two days late-yes I am counting this as a post- I will finsih a bit later than those who started right on the first. While I think I have a pretty good momentum with my posting I can always stand to better myself right? Through writing everyday I hope to improve my writing, carve out some "me time," and just write my heart out. If you are a blogger and would like to join in on the action you can sign up on Blogher and or just post everyday and be sure to use the hashtag- #NaBloPoMo- to share your post with everyone! I must admit that being that this is the last full month of the semester and the second to the last month before the end of the year that I might get side tracked BUT I can't and I wont! I can do this, I want to do this, and I hope you all like what I share. Is there anything in particular you would like me to blog about? Comment below, on Facebook, or tweet me your ideas! Becoming a pregnant teen is an extremely confusing and scary time. I vividly remember being especially confused and scared about MY legal right to parent since I was technically not an adult myself (I was 15 when I gave birth). I remember my mother and her boyfriend making comments like "That's our baby because you're underage so you have no legal rights over her" and being scared out of my mind! Were they really the custodial parents of my baby? Could they-or anyone- just take her from me simply because I was underage? I have underaged teenage friends that have gotten pregnant by a male over the age of 18 (happens more often than you think) and the guy threaten her with taking the baby because he was the "real" adult in the situation and even had his family harass her too. Then there are the countless amount of teenage mothers that have been kicked out of their familie's home and struggle with knowing if they can go to a homeless shelter, if they need to stay in or will get kicked out of foster care for being pregnant, can they have their children with them at the shelter or foster home, can they apply for WIC and other government aid even if they are under 18? The reality is knowing your legal rights as a pregnant and or parenting teen is difficult and VERY SCARY! Thankfully the NYCLU has a wonderful book that explains ALL OF YOUR LEGAL RIGHTS AS A TEENAGE PARENT in New York State. 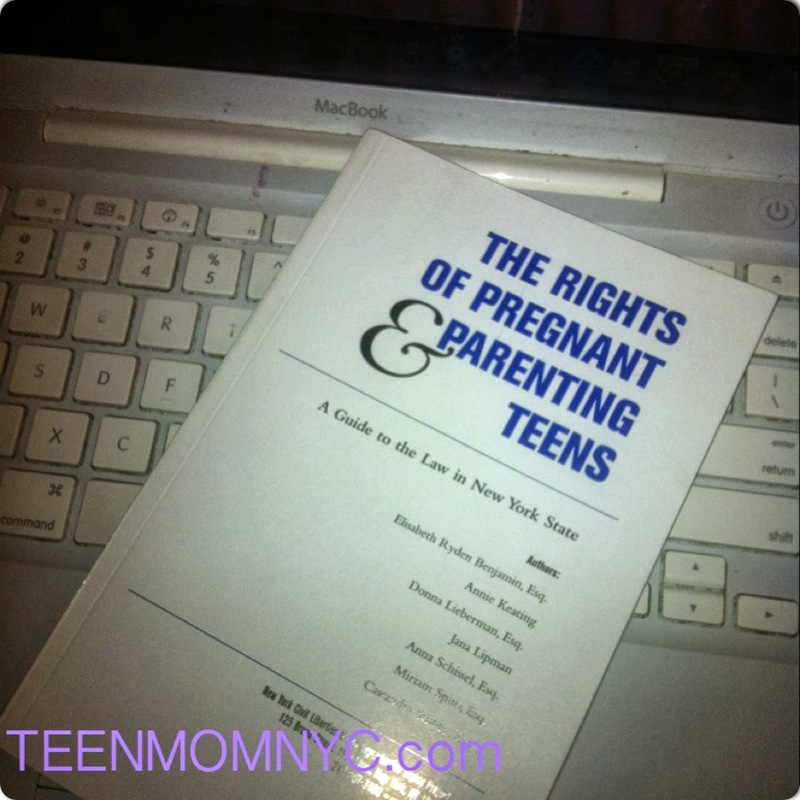 The book is FULL of answer for most if not ALL your questions about the legal rights you have as a pregnant and parenting teen in New York State and New York City. You can find the information on their website here in a PDF form. However, I have a box FULL of these books and I'm giving away 20 copies to anyone who needs/wants them. Leave your email address people if you would like one of the books so we can talk via email about how to get your free copy to you. On Mental Health Day Where is the Convo about Pregnant and Parenting Teens? After my post about postpartum depression was shared and read several times I decided to expand my point of view on the overall nonexistent conversation about the mental health and wellness in pregnant and parenting teens over on The Push Back. Read an expert of the post below and be sure to head over to The Push Back to read the rest and more amazing articles from other teenage parents. While society and even many pregnant and parenting teen allis continue to ponder why, how, where, and when teenagers become pregnant they often times over look the mental health and well being of the pregnant and or parenting teen. Teenage parents and our families have been reduced to controversial public campaign ads, cautionary tales, and political scapegoats all the while suffering from very normal and serious mental health concerns that are not spoken about anywhere. Sexually based abuses, domestic violence, and depression are all on the rise in American youth. Yet the discussion about how teenage parents face all of these mental health woes and abuses on top of societies continuous and brutal attacks on us and our families goes unspoken about. Pregnant and parenting teens are under an insurmountable amount of stress and struggling alone and in silence. In fact, postpartum depression effects teenage mothers more than any other age group of mothers. We are told that our entire life, existence, and that of our children is doomed, we are kicked out of school, bullied by peers, adults, and random strangers on a regular basis. While out and about in our neighborhoods whether we are going to a WIC appointment, class, work or taking our children to the bookstore (yes we do all of these things and more) we have to face disrespectful and demoralizing campaign ads everyday. Read the rest of the post on The Push Back. Do you think the mental health and wellness of pregnant and parenting teens is often overlooked? Let me know what you think in the comments below. I after going through and cleaning out much of Leilani's clothing I have a lot of size 4-5 clothing for girls. I also have two winter jackets, shoes, and more that I would like to giveaway. 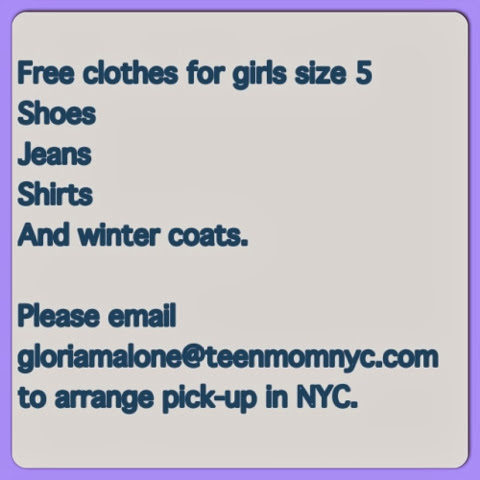 If you are or know a teen mom or youngmom in nyc in need if the items please contact me. I woke up on Monday feeling like just about everyone does on Monday, bleh. After repeating to myself over and over again that everything is alright and there is no reason to start the week off on the wrong foot I drank some positive mood tea and headed out to school. In the middle of the day one of my friends text me to read the thing she tagged me on on Facebook. As I was waiting in the never ending line at Chipotle for my over stuffed burrito I read what she tagged me in and felt so much more at ease. Later on in statistics-where I was actively pretending to understand what was going on- I felt a rush thoughts come into my head and soon my hand started writing them out quicker than I could process the thoughts. I looked down and read what I had just written. "When I stopped trying to find what to 'do', 'achieve', and or 'collaborate' next I started to feel a lot better. I began to learn more, listen more, observe more. In essence I began to live. Life is what happens while you're busy doing other stuff*. I don't want to be doing 'other stuff,' I want to live." People tend to say that I'm always doing something and my sisters all say that I'm too hard on myself. Both are true, I am. I also don't know how to not be hard on myself and be still full time. The answer is I don't have to be. I don't ALWAYS have to be doing something. I don't always have to be something to feel like I'm someone. Activity is not the opposite of inactivity. Yes, linguistically they’re opposites, but in terms of our path of growth, they’re actually one and the same. Activity on an inner level often necessitates inactivity on the outer (hence we go on retreat to turn within, or merely sleep and dream our way through a dilemma), and vice versa (‘I don’t have time to meditate!! I’m way too busy!!’). And no matter what the world tells us, one form of activity is not better, or worse, than the other. If you feel like a hamster on a wheel STOP. Stop thinking that being busy automatically equals success or productivity, I doesn't. Being still is just as important. We may find ourselves ending the month in a state of restlessness, approaching a New Moon (4th/5th October) which requires introspection and quietude, whilst being painfully aware of all manner of things demanding our attention. These can feel like conflicting energies and we could find ourselves running from pillar to post impatiently trying to get everything to a state of completion without realising that the time for completion is not yet here and the unfinished nature of life, tasks, problems and projects is exactly right for this time. Part of our impatience may arise from feeling, albeit subconsciously, that if we stop ‘doing’ we may end up wandering aimlessly, unable to chart any kind of meaningful course through life. Far better that we engage with things and work for signs of progress than float off downstream never to be seen again! In fact, this is a false choice. It isn’t an either or: stay engaged or lose our way. It’s far more subtle than that, and it’s the subtleties of the situation that we’d do well to consider today. Activity is not the opposite of inactivity. Yes, linguistically they’re opposites, but in terms of our path of growth, they’re actually one and the same. Activity on an inner level often necessitates inactivity on the outer (hence we go on retreat to turn within, or merely sleep and dream our way through a dilemma), and vice versa (‘I don’t have time to meditate!! I’m way too busy!!’). And no matter what the world tells us, one form of activity is not better, or worse, than the other. We live in a world that judges us according to what we produce, the concrete results of our labours, not the quality of our heart or the depth of our wisdom. But the activity necessary for developing the latter is vital to the fulfilment of our potential. Not potential in material terms but potential in terms of playing the most powerful and positive part we can in the transformation of the human race and the planet on which we live. Today is a day to resist the dictates of a world which equates power with material wealth and value with what we can produce. 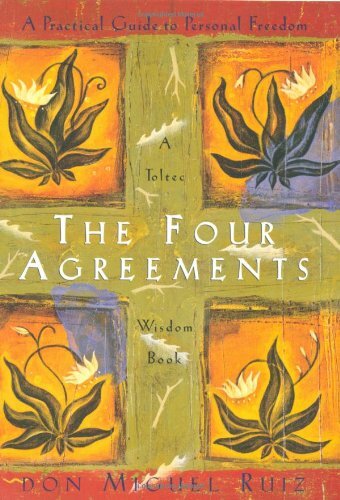 To let go the restlessness that says we must be doing at all times, getting stuff completed and under our belts, ticked off the ‘to do’ list of life, and to embrace the production of inner wealth in terms of an open heart, an insightful mind and an awakening spirit. It may not be the most convenient time for this, it being Monday and all, but the cosmos doesn’t really do working weeks. So no matter how busy and stressed we may find ourselves today, juggling the demands of the outside world to be productive and of use, we would be wise to take at least a bit of time to be externally inactive and turn within, connecting with our heart, with our spirit, to see what they have to share. Who knows, they may actually have some good advice about how to get that huge to-do list done, but it’ll be in their way, not the way of the world. And in following their guidance we will be balancing internal and external activity in a productive and healing way. For the second year in a row former teen mom Sofia Vergara has ranked as the highest paid television actress! Sofia Vergara had her son Manolo at age 19 and in an interview with Redbook in 2011 she said "being a teen mom wasn't all that bad!" With society, friends, and sometimes even family telling you that your life is over because you are a teen parent it's hard to see a bright future for you and your child. Sofia did not let becoming pregnant, married, and a mother a 19 stop her one bit. Lets give a HUGE shout out and congrats to Sofia Vergara and ALL teenage parents succeeding despite what society says. Check out inspiring interviews with teenage mothers from NYC and around the country here. 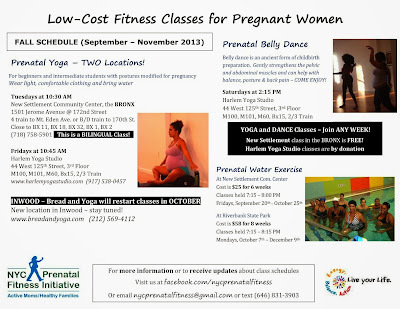 Pregnant teens and teen moms in NYC be sure to check out these free, affordable, and exciting fitness classes you can take while pregnant. Being active and healthy before, during, and after pregnancy is extremely important however, often times fitness classes for pregnant woman are so expensive that many teen moms can not afford them but this is NO LONGER THE CASE! 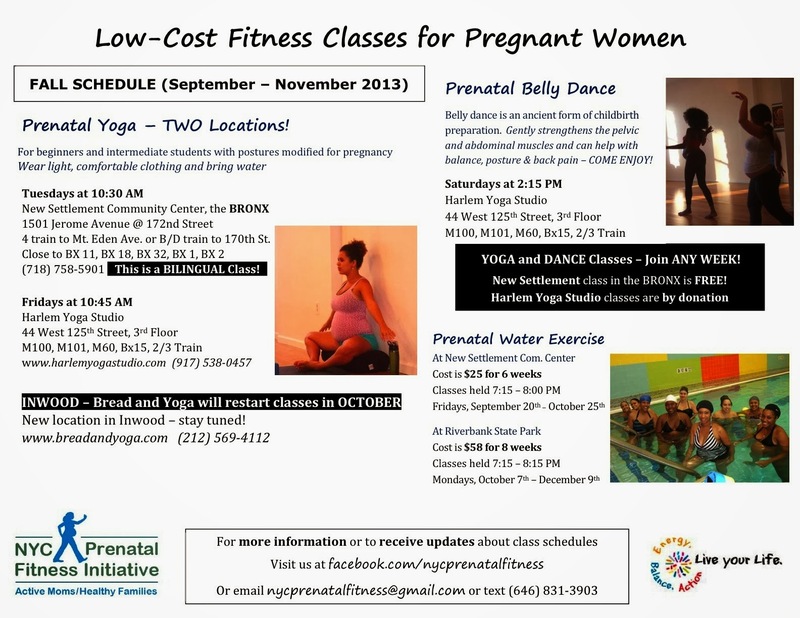 Prenatal classes return to the New Settlement Community Center in the Bronx this week! We are continuing the very popular weekly FREE and BILINGUAL prenatal yoga class on Tuesdays at 10:30 AM and are also restarting the exciting prenatal water exercise class on Fridays at 7:15 PM - $25 for 6 weeks. A second water exercise class starts October 7th at Riverbank State Park in Manhattan. 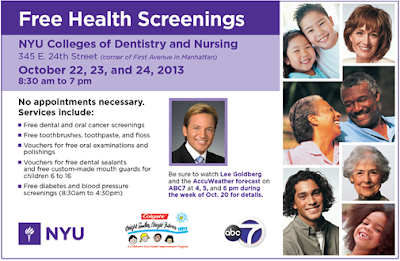 $58 for 8 weeks ($48 if women already have a Riverbank ID card). Participants MUST REGISTER IN ADVANCE FOR THIS CLASS. Finally, we continue the wonderful and affordable prenatal yoga (Friday mornings) and belly dance (Saturday afternoons) classes at Harlem Yoga Studio. These classes are by donation for pregnant women. Please help us raise the small amount of funds needed to continue the amazing Bronx class by encouraging someone you know to make a small tax-deductible donation here: https://ioby.org/project/prenatal-yoga-en-el-bronx.Thanks! Did you take fitness classes while pregnant? Did you enjoy them?